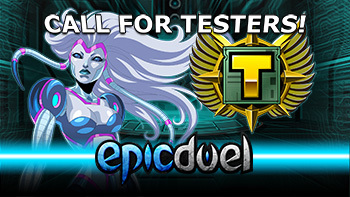 EpicDuel Team Searching for New Testers! Since resuming development of EpicDuel in May, EpicDuel has been relying on a few generous mods and remaining testers to help get the releases out. Since many of these assistants have other roles and real life obligations, we have some blind spots in testing which we can only remedy with a dedicated testing team! We will be looking at your EpicDuel account history, AE account history, social networking and forum accounts if you have them, and arranging a Discord interview to talk individually with potential candidates. If your e-mails subject line says anything except EPICDUEL TESTER APPLICATION then the filters will automatically delete it. Attention to detail is essential. Include why you want to be a tester for EpicDuel and what you hope to accomplish in this role. You must be at least 18 years old to be considered for this position. No exceptions. One application per person. We will read and consider all applications, but cannot reply to them all. If you are chosen to go through a further interview, we will contact you by e-mail. If we do not respond, we want to thank you for being awesome enough to volunteer! We are not obligated to explain why you were not accepted for the role. Applications close WEDNESDAY, October 10th. 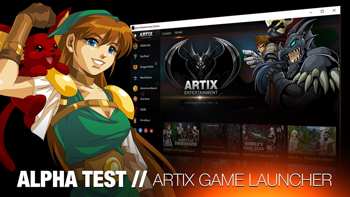 We hope to accept around 5 testers but this can change based on quality of applications. We will begin contacting applicants we are interested in as soon as possible, but please understand it takes time to manually review and vet candidates. Contacting staff about your application status will not help your chances. Please note that this is an unpaid position but does come with the in-game ED Tester achievement, currency allowance, certain items upon request, and the chance to test game content as we develop it before release and invaluable experience with a honest-to-goodness gaming company which will look good on ANY future resumes. Thanks, good luck and Duel On! This is a light, but filling release as we introduce new bots, new auxiliaries and new vehicles. How will these new bots and core fit into your strategy? Find out soon! Next week will see a broader release with more balance changes, new armors, and new challenging missions! 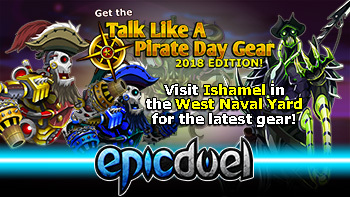 New items are located in Ishamel's Shop in the West Naval Yard! Ishmael’s Impaler P/E: Poison Barbs core inflicts incurable poison of 50 damage for 3 turns. This unique poison cannot be cleansed or cured, but doesn't overlap with other poisons. Underdog - The community seems divided on whether or not Underdog buffs are too strong and in need of nerfs or necessary to compete against Legendary opponents. This week, we'll try a nerf to impact first strike and stats slightly. Next week, we'll try to follow it up with tighter matching in high-level 2v2. 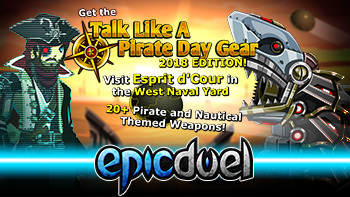 Stange weapons have washed up the stranger tides of the West Naval Yard, as the mysterious pirate from another realm, Esprit d'Cour, offers the denizens of Delta V spoils from his personal stash. As of the newest update, 18K Varium promotion will ends. Deals like this don't come around often, so take advantage of this great value while you can! Shoggoth’s Stash Arcade shop is now available at all ArcadeBots throughout Delta V! Will you be the first to catch the unique gold prize? Earn those blue, red, or platinum stars with 3 new achievements! Legendary Big Tuna and Legendary Captain Shoggoth are joining the roster of nearly unbeatable NPCs to test your skill a strategy. Plus, it's a great way to earn rating points! Bounty Hunter - BHs still appear to be outclassed by Mages. Smoke has been improved to increase damage output. Smoke Screen: Improves with every 3 Tech. Tactical Mercenary - Tac Mercs need lots of help, so these buff are intended to increase survivability and damage output. Infernal Android P and E price increase to 35000 Credits and 1495 Varium. These bots are way too good to be as cheap as they were. This update features 16 nightmarish, nautical styles for all classes and genders. At long last, you can turn your head into an eldritch nightmare! You did want that, didn't you? This update will also feature dozens of new weapons available at Esprit d'Cour! Some of these are also available through the Arcade, but if you don't like games of chance, you can purchase them directly. Remember, the Heroic Housing contest is still underway and has already seen some fantastic entries! There's still plenty of time to enter if you haven't already! The complete rules can be found in this post! The vast, irradiated oceans of Delta V stir once again with the activity of Captain Shoggoth and his brutal crew of eldritch pirates. Join the party into the West Naval Yard to discover new challenges, new weapons, new achievements, and a boatload of new styles! This update has so much content that it will need a few more days of development and testing with an expected release of Wednesday. Also, I (Nightwraith) will be traveling to the land of my forefathers (Ohio) later next week for a family event so consolidating both these shortened weeks made more sense than 2 abridged updates. As of the last update, Mercenaries, especially Tactical Mercenaries are under-performing, to put it mildly. They will receive some improvements to their offensive capabilities and usefulness of buffs. If you completed the Waves of Wrath storyline, you've already tested your steel against Shoggoth, but how do you think you'll fare against a Legendary version of the corrupted pirate? Fan-favorite Big Tuna is also receiving a Legendary buff to challenge your skills and patience. You didn't think earning those extra stars would be easy, did you? 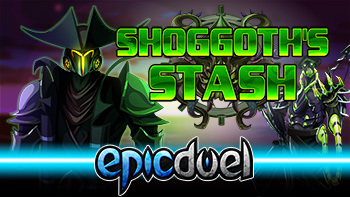 If you have some extra Tokens burning a hole in your pocket, the Arcade will see the addition of Shoggoth's Stash which will come stocked with wild and weird weapons, including a new travel form! Look for a big expansion to Credit and Varium styles for all classes, with a focus on Halloween and nautical themes! I don't know how many yet because they're still being drawn, but I expect at least 10 per class/gender! As with the other AE games, we'll be extending the 18K Varium promotion through this weekend. 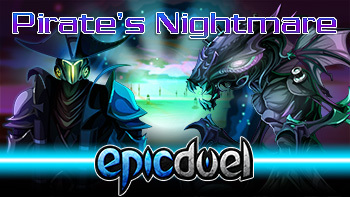 For EpicDuel, we're keeping the bonus Varium in until the update goes live on Wednesday. It's never too early to stock up for gifting! Since this update is still in development, the plan can still change with additional content. In the meantime, remember that there's still an EpicDuel contest going on with plenty of time left to participate!